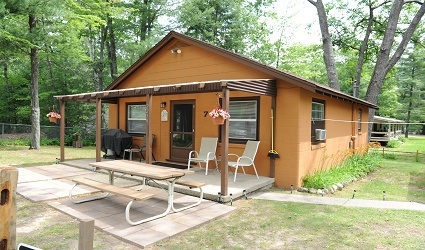 Clear Lake Resort Michigan Lodging Family Vacation Resort - Located in Northern Michigan two and a half hours north of Metro Detroit off I-75 in West Branch on Clear Lake, an all sports, spring fed, crystal clear lake that covers over 171 acres. 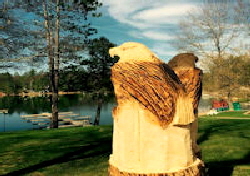 Clear Lake is up to 50 feet deep, contains three islands and has a beautiful sandy shoreline. 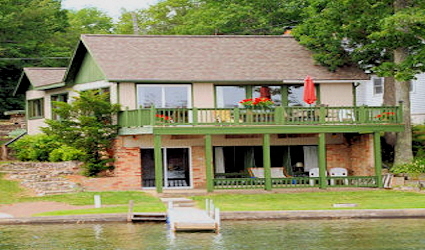 The Lake Front Property has one Beautiful Lake Front Home and Five Vacation Cabin Rental options. Our gorgeous Lake House Rental Cabin 1. Two bedroom home with a fireplace, 2500 sq. foot wrap around deck and a 6 person outdoor spa. 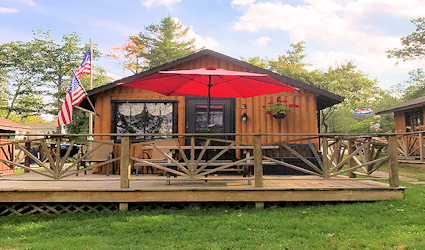 Cabins 2 - 6, five lake front, modern, fully equipped rental cabins that sleeps up to four with large decks, barbecue grill and picnic tables. 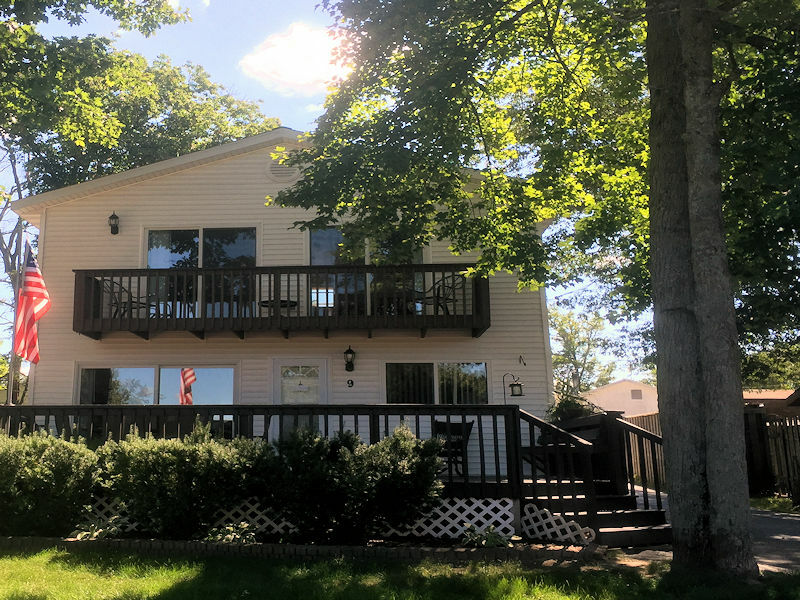 Our lake front property has a sandy beach for the kids to swim, two swing sets, horseshoe area, bonfire pit, 300 feet of lake front, a marina with boat rental and a large grass yard. 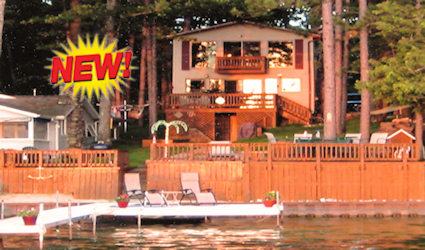 We also manage three private Lake View/Access Rental Homes. 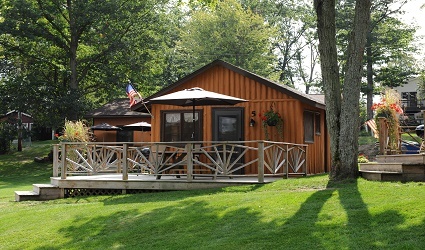 Within walking distance from the Resort, Cabins (7, 8 & 9) located just across the road from the resort and beach. 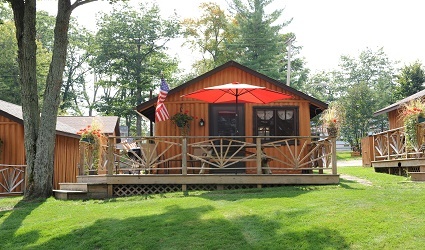 Cabin 7 has two bedrooms and is located directly across from the public beach and DNR boat launch. Cabin 8 is next door to Cabin 7 and has three bedrooms, 1.5 bathrooms and a enclosed front porch over looking the Resort and lake. 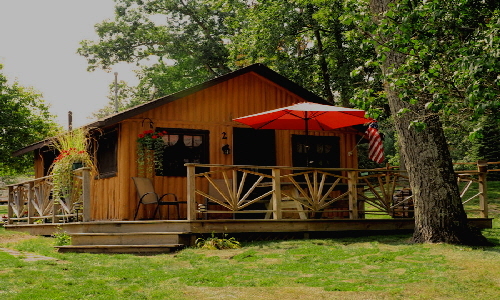 Cabin 9 has 3 bedrooms, two full bathrooms and 2 gas fireplaces and a private back yard. If you like to Fish, Clear Lake fishing is great! - You can rent one of our nine Pontoon Boats, three Fishing Boats or fish off our 400 feet of docks for Walleye, Large and Small Mouth Bass, Northern Pike, Blue Gill and Perch. Boat Rental On-Site! While your here, rent one of our Pontoon, Boats, Fishing Boats, Kayaks, Pedal Boats, Stand up Paddle Boards “SUP’S” and more! Walk to Clear Lake Bar, Party Store and Restaurant - From your lake front cabin you can enjoy a great breakfast or lunch at the Side Door Restaurant, stop in at the Clear Lake Party Store for hand dipped ice cream, bait, liquor and convenience items or walk over for dinner and drinks at the Clear Lake Bar. ORV’S Welcome! We have plenty of parking for your trailers and you can ride from the resort to the trail system. 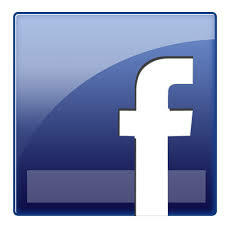 We have trail maps and is gas available here in town. 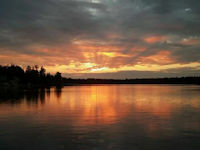 Other Nearby Recreation Includes, Championship Golf, Outlet Shopping, Canoing plus hundreds of acres of state land for Hunting, ORV & Snowmobile Trail Riding (ride legally from the resort to the trails, maps provided) Hiking and Cross Country Skiing. Pet Friendly - Well behaved leashed pets are welcome, some restrictions apply. Open All Year! 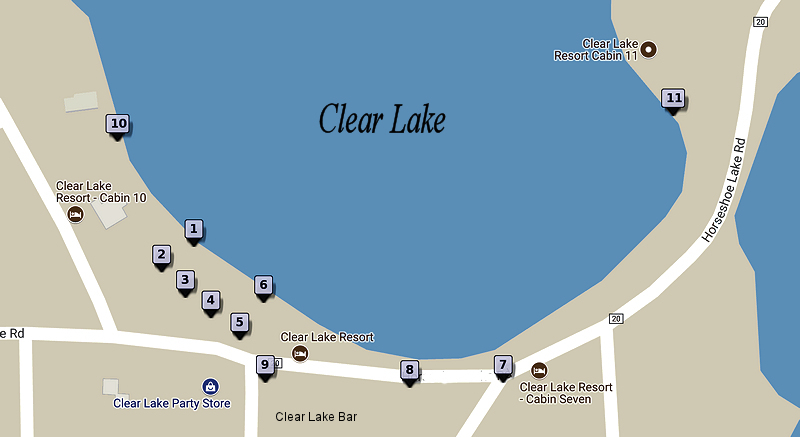 -Clear Lake Resort is open all year. No matter the season, you are sure to enjoy the area. There are plenty of things to do including just relaxing and getting away from it all for a few days! 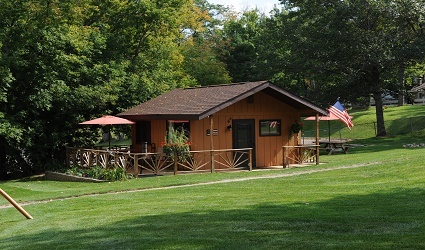 Cabins 1-6 are on the Resort Property, Cabin 7, 8 & 9 are private homes located just across the road from the resort and lake and beach. 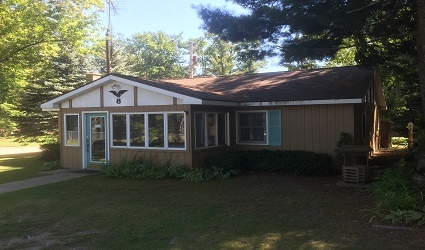 Cabin 10 is a 2100 sq. 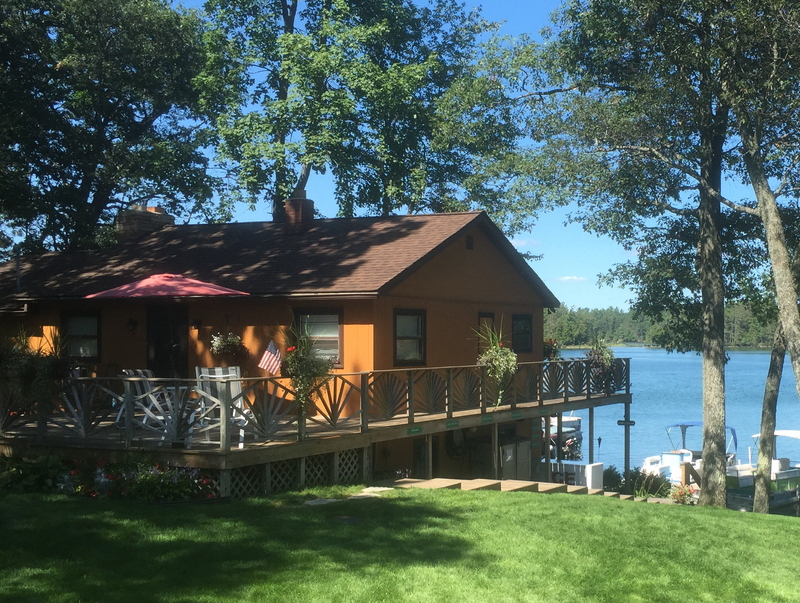 ft. private home on the lake 4 houses west of the Resort and Cabin Eleven is on the east shore of Clear Lake within walking distance from the Resort.